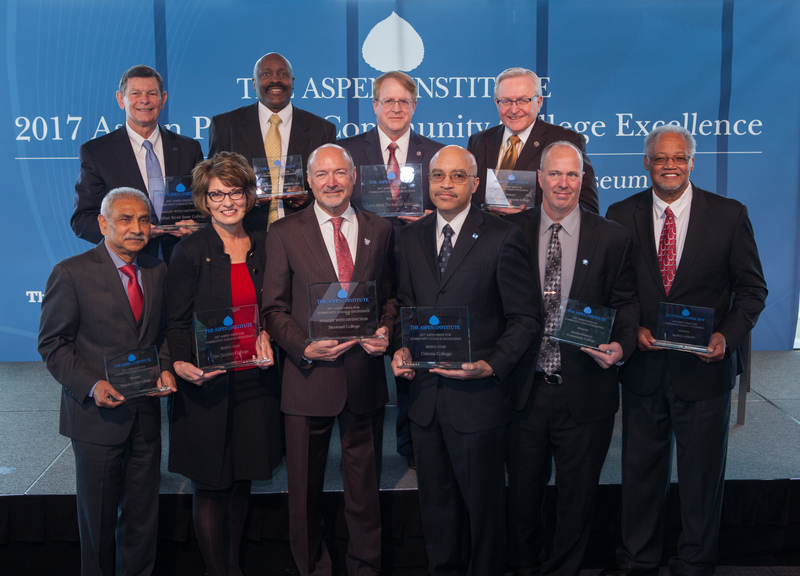 The $1 million Aspen Prize for Community College Excellence, awarded every two years, is the nation’s signature recognition of high achievement and performance among America’s community colleges. Improving community college student success is a vital national priority. While the open access and affordability that characterizes these colleges has benefitted millions of Americans, now the nation must focus on getting more community college students successfully through to high-wage career opportunities and further education. Identify and celebrate excellence: In a sector of higher education that has historically been under-recognized, the Prize works to elevate outstanding institutions as models of excellence. Coalesce around a clear definition of student success: The comprehensive four-part Aspen Prize definition of student success aims to provide those within community colleges, as well as the public, examples of community colleges that are among the best at ensuring students – including the most underserved – learn, graduate, and secure good jobs. Stimulate replication of exceptional practice: By identifying outstanding community colleges across the nation, documenting their practices, and creating syntheses and tools for replication, Aspen uses the Prize to spread concrete college-wide strategies for improving student success.